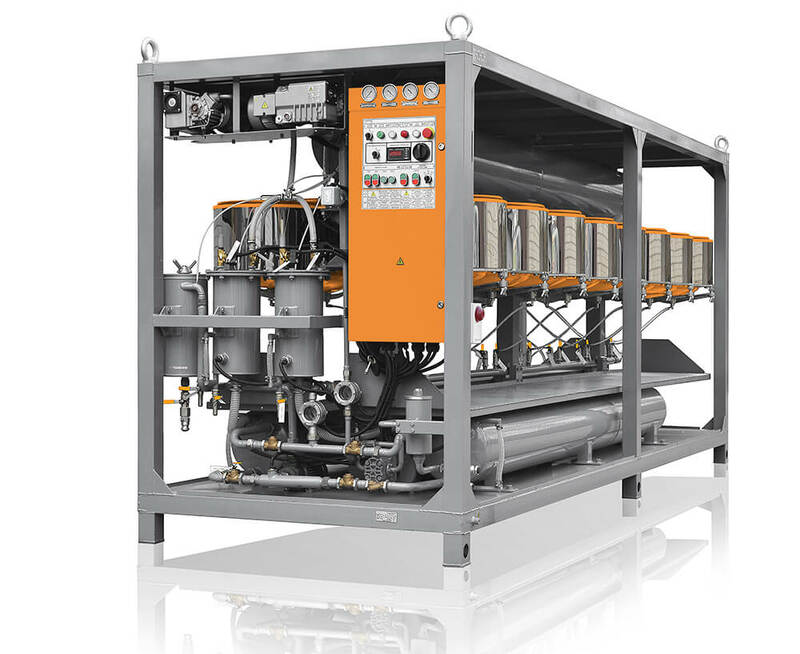 Mobile oil unit СММ-R (UVR) is designed for vacuum regeneration (refinement) of operating oils having viscosity of up to 70 cSt at the temperature of 50°С. CMM-R also reduces acid value as well as the dielectric loss tangent related to the standardized values of operating oils. Moreover, it clarifies the oil by means of whitening clay.